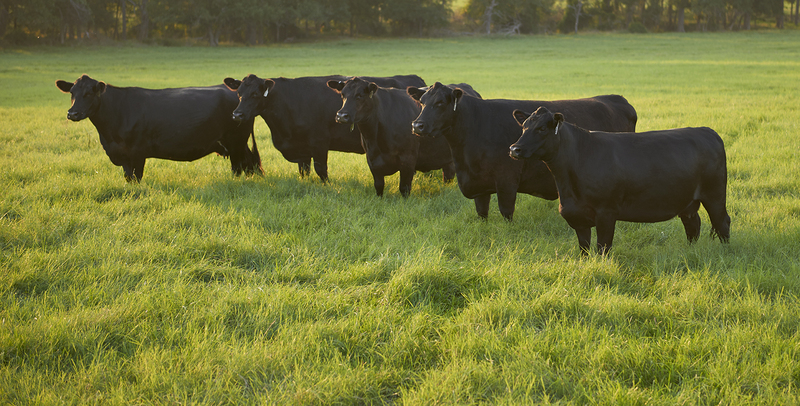 e are grateful for our customers and their trust in the Angus Strong® program. We get so excited when our customers share their experiences and successes. Our genetics really do produce profitable results for our customers. More importantly, we want relationships where there is mutual respect and collaboration so we can do even greater things together. Many of our customers participate in the 44 Farms feeder calf programs. These customers are experienced producers that understand that it makes sense to invest in bulls and females that make them money. Our industry is more complex than ever. Innovation and creativity are critical. The 44 Farms feeder calf programs have been enthusiastically received and have been a very good market for producers. Requirements for our two feeder calf programs are detailed below. These benchmarks enable us to ensure the highest quality cattle for the ultimate endpoint – our consumers. 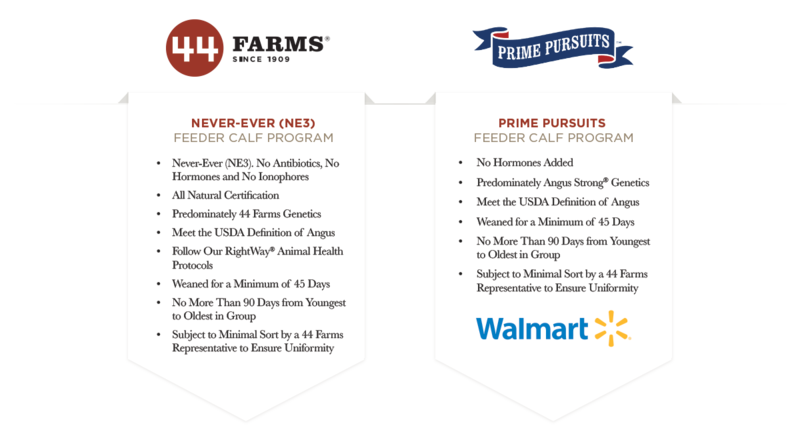 Although we understand these criteria will not fit every cattle raiser’s program, those who participate will reap the full benefits of joining the 44 Farms program. If you would like more information regarding our feeder calf programs, please see the attached files or contact Doug Slattery at (979) 451-2003, or Steve Harrison at (208) 270-3065. Together, greater things are yet to be.